Last Friday, the take profit on my sell order worked. However, it seems like the downtrend hasn’t run dry yet, that’s why during a local correction I’ve opened a short-term sell order with the target at the closest group of lower fibo-levels at 1.2435 – 1.2425. 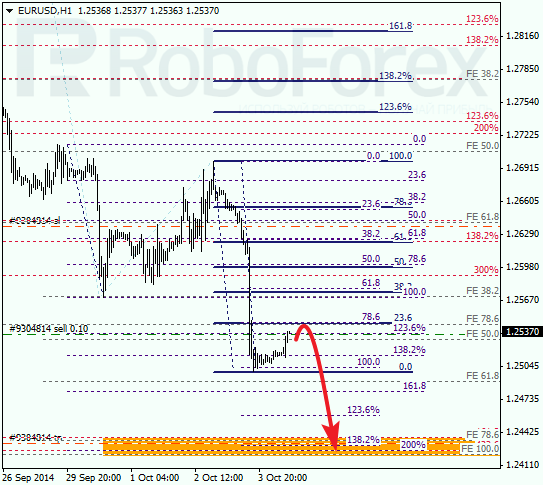 As we can see at H1 chart, the current correction may reach level of 23.6%. If the pair rebounds from this level, it may break the minimum and continue falling towards the targets, which are also confirmed by local fibo-levels. Last Friday, the take profit closed my buy order. Considering that the price may reach the group of upper fibo-levels during the next several hours, during a correction I’ve opened a short-term buy order with the tight stop. 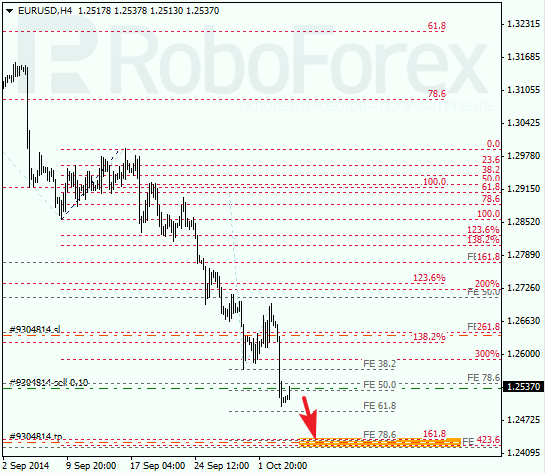 At H1 chart, the target of the current correction is at level of 23.6%. The pair may rebound from this level during the day. After that, I’m planning to open another order. 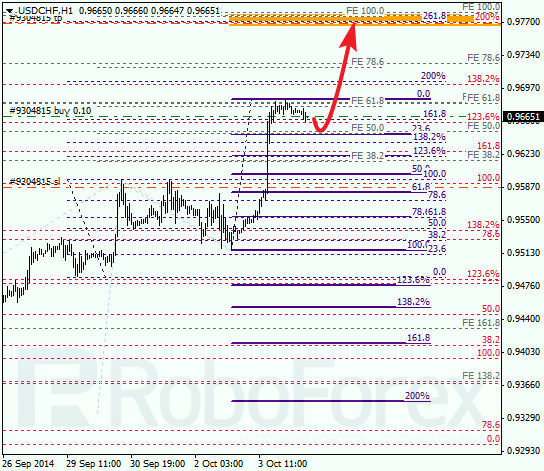 The predicted targets are also confirmed by local fibo-levels.